This post is in partnership with MGA Entertainment as part of our #31DaysOfGifts Giveaway Event. These posts are features of products and do not depict our regular writing style. We’ve got a fabulous, HUGE giveaway for our Canadian readers on the 1st day of our #31DaysOfGifts giveaway event! STEM learning is a new, and popular way for kids to learn. 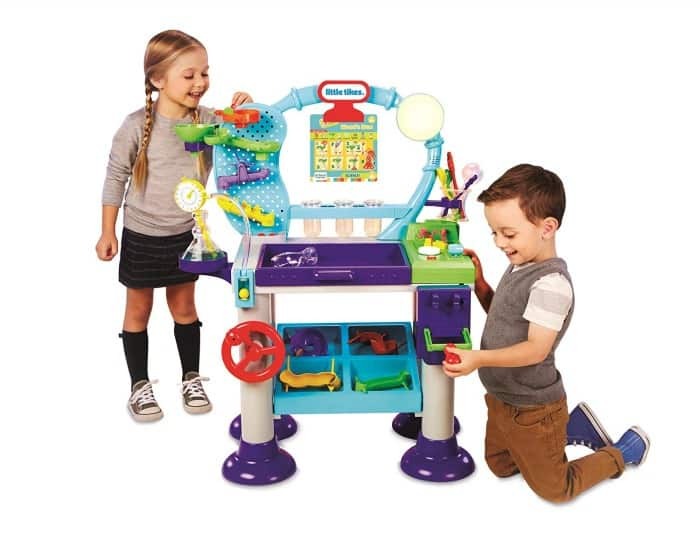 The Little Tikes Wonder Lab is the ultimate STEM lab that brings the magic of science to life and ignites your child’s curiosity through hands-on play. Your child can use technology, engineering, math, and science by activating a ball with circuits, building a ball drop maze, and stirring up a witches’ brew! Baby Born Dolls focus on mother and child role play. With different accessories, your child can play with a doll that resembles a newborn baby. Baby Born dolls can eat, drink, sleep, pee and more! Because there are over 90 to collect, Moj Moj Mystery Packs keeps things exciting! Each series features an assortment of rare characters with fun, collectible themes. Who’s That Girl is the beauty brand made just for girls ages 6-11. Discover the 21 beauty surprises hidden inside! Unbox one each day or unbox them all at the same time! 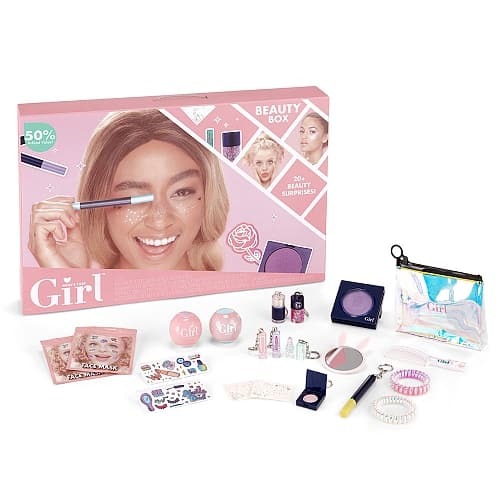 The Who’s That Girl Beauty Box includes 21 cosmetics – a full collection of exclusive beauty products, to create fun, unique looks daily! Make magical unicorn poop (slime) with Poopsie Slime Surprise. 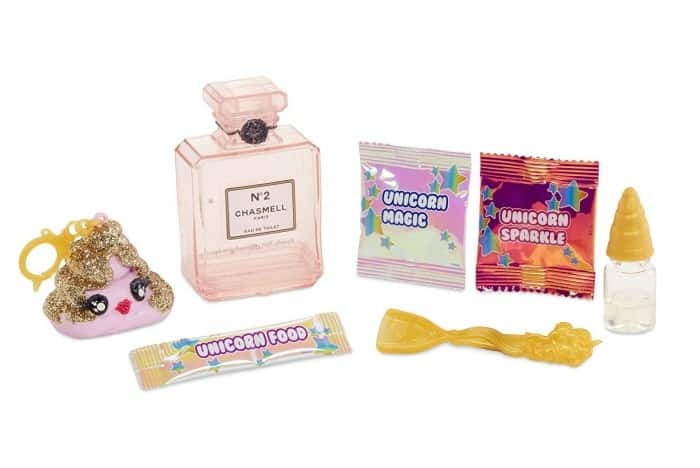 The set includes Unicorn Food (slime powder) and unicorn magic, collectible bottle and poop character keychain, mystery scent dropper and unicorn spoon. Just like real pets, LOL Surprise Interactive Live Surprise respond to touch, sound and motion! Their ears move to show off their personality, eyes close when sleepy and tails wag when excited. Not only does the LOL Surprise Interactive Pet can make over 60 sounds, there are also 3 mystery interactive accessories! 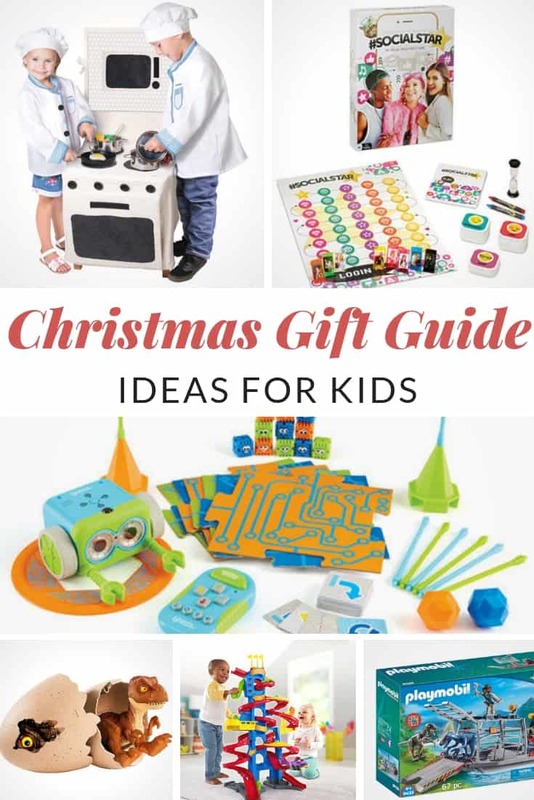 Remember to visit our CHRISTMAS GIFT GUIDE to see more great gift ideas and giveaways. Scroll down to enter to win the $400 MGA Toy Prize Pack. Good luck! To enter, leave a blog post comment telling us which toy in this post your little one would like to play with first! Our little one would like to play with first with the Baby Born Dolls ! I think the The Little Tikes Wonder Lab is amazing – I can see a lot of fun being had with that set! Little Tikes Wonder Lab is my Fav choice! Love it! I think one would choose the Poopsie Slime Surprise first, and the other would choose the Little Tykes Wonder Lab first. Our granddaughters and our grandson couldn’t get into the Slime fast enough! They adore Slime! My sons would be all over the Little Tikes Wonder lab! The Wonder lab looks like a lot of fun. I think my kids would love it. My grandson would love to play with the Little Tikes Wonder Lab. The lab would be what my son would choose and my daughter would be all over the poopsie unicorn slime or the baby born doll because she has a new baby sister and is all into baby’s! Love this giveaway! A little something for everyone! I am going with the Who’s That Girl Beauty Box. My niece would enjoy this. Who’s That Girl Beauty Box. My niece would enjoy it. I think she would love to play with the Little Tikes Wonder Lab first. My little kiddo would love to play with the Poopsie Slime Surprise. I am still amaze why they giggle when they hear unicorn and poop emojis. My girls would probably play with the LOL Surprise Interactive Live Surprise first except for my youngest who would go for the baby first. She would like the Little Tykes Wonder Lab as it looks so amazing. My granddaughter would most love the Baby Born Dolls. I think my grandchildren would play first with the Little Tykes Wonder Lab. The little tykes wonder lab! I think it would be the LOL Surprise Interactive Live Surprise! My little one loves having a baby brother so would play with the baby born dolls first. I think the little tykes wonder lab would be the first thing to get played with! I know a few kids on my Christmas list that would love this! I believe it will be the Baby Born Doll. What a great selection of toys. Christmas Rocks. .. and so do you. Little Tikes Wonder Lab would be her go to choice. The little Tikes wonder lab is on my daughters wishlist this year. Thanks! The Little Tikes Wonder Lab is the toy my son would look most forward to playing with! Baby Born Doll is one my granddaughter would love to play with first! I think my granddaughter would love to play with the play stove first. I think the Little Tikes Wonder Lab would be really cool to play with first. For sure Kaiden would choose the Little Tikes Wonder Lab right off the bat! It looks amazing! I think Mr. J would want to play with the Little Tikes Wonder Lab first. Mine would definitely play with the unicorn poop slime first lol! They would enjoy all of this awesome stuff! Thank you for the chance to win! 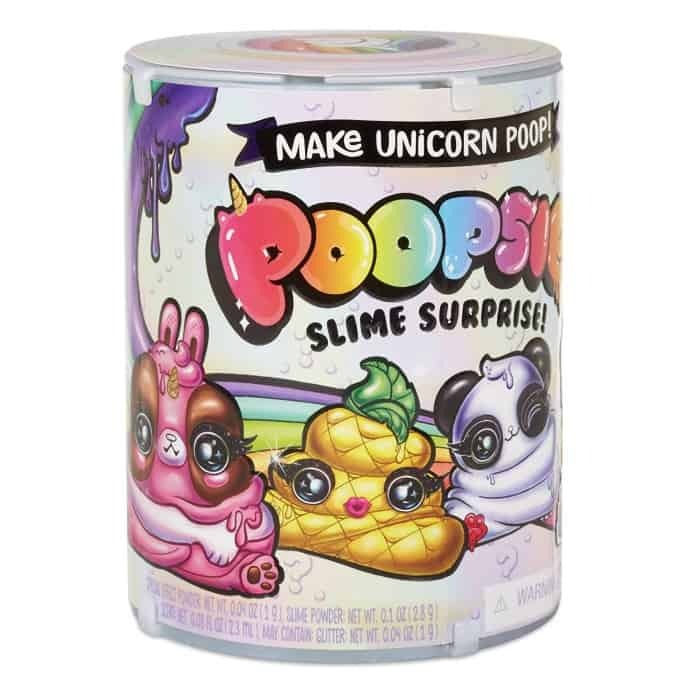 The Poopsie Slime Surprise unicorn would be the first item to be out of it’s box! LOL My kids are fascinated with slime right now and cannot get enough of new things that come out. My kids would love the Wonder Lab and I know the Poopsie Slime Surprise is on my girls lists! My granddaughter would love to play with the baby Born Dolls first! Knowing my two munchkins, I am sure they would both be playing with the little tikes wonder lab right away! My daughter would have a lot of fun with the Baby Born Dolls. She’s at a good age to have her own baby doll. My kids would love the Wonder Lab. They are always creating marble runs out of cardboard. So they would love this! My daughter would love the Who’s That Girl Beauty Box! I think the little ones I babysit would love to play with the stove first. My girls would love to try out the Unicorn Poop Slime. My daughter would play with the Wonderlab first, so awesome! The first thing they would want to play with is the Poopsie Slime Surprise. Both of my kids would love the Poopsie, ha ha ha! Definitely its the unicorn slime. Because what’s better than that?! My niece Harlow would like baby born doll. My child would really like the Baby born dolls. My kids would love the Little Tikes Wonder Lab. So cute! My son would love the Little Tikes Wonder Lab but my niece would love it all when she’s a little bit older! My daughter would love the Baby Born Dolls! the wonder lab looks fantastic for my kiddo! The little tikes wonderlab looks like a lot of fun. My little one would be ecstatic to play the Little Tikes Wonder Lab. The Baby Born Doll would be the first pick. My kids would be love the Little Tikes Wonder lab! They would love a lot of them but I think it would be the LOL Surprise Interactive Live Surprise for sure! My grandson would love the Poopsy Slime Surprise. My son would play with the Little Tikes Wonder Lab first. I’m sure that my granddaughter would simply love the LOL Surprise Interactive Live Surprise. My guy would love the Wonder Lab! I know my granddaughter would play with the LOL Interactive Pet first. Adorable! The Little Tikes Wonder Lab! Oh my gosh , its so cool ! I love it and I know i would have as much fun as the kids with it! We’d play with the moj moj first. My niece would play with the Baby Born Doll first. My kids would love the play kitchen! My son would play with the Poopsie Slime Surprise! I think they would play with the little tikes wonder lab first! I wouls like the wonderlab under the tree! My niece wouold really enjoy the Baby Born Doll. Most definitely the Poopsie Slime Surprise. 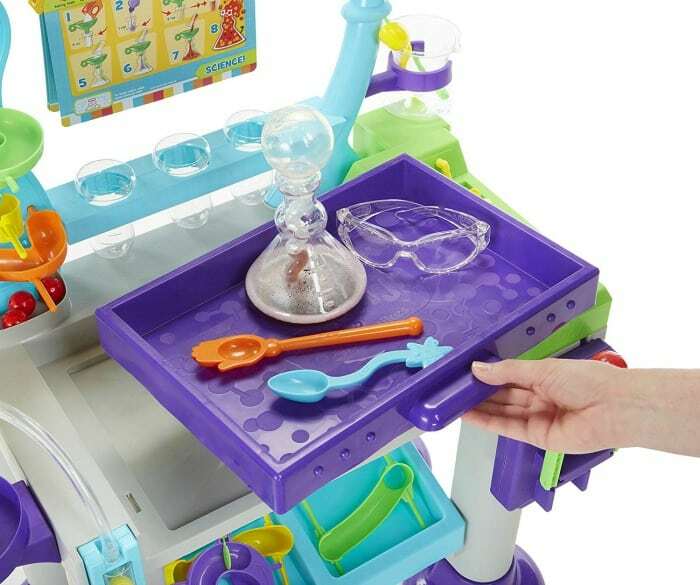 My toddler loves experiments, so would really enjoy the little Tykes WonderLab! He’s not quite old enough yet but I would choose the wonder lab for him. The messier the better my niece likes to say so the first played with toy would have to be the Poopsie Slime Surprise!!!!! LOL. I love the The Little Tikes Wonder Lab! It would have to be slime surprise. My daughter would love to play with the Little Tikes Wonder Lab! The Little Tikes Wonder Lab looks amazing! I’m sure that would be zoomed in on at once. I think the Little Tikes wonder Lab would be a hit. the wonder lab looks super fun! 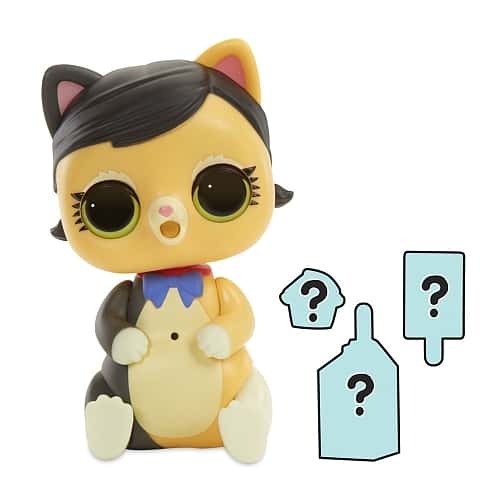 Baby Alive is so cute… I would get her for my niece! Definitely the LOL, she is obsessed! My granddaughter would go for the Little Tykes Wonder Lab first. My nephew would love to play with the kitchen playset. Thank you for sharing your list of toys. They all look so cute and interactive! My niece would love the unicorn set! The Little Tykes Wonder Lab is fantastic and would bring delight. Probably Moj Moj mystery pack, my niece loves surprises. The Little Tikes Wonder Lab would be a hit around here! My son has been asking for the Poopsie slime! Thanks for the chance! My daughter would want the Poopsie Slime Surprise. 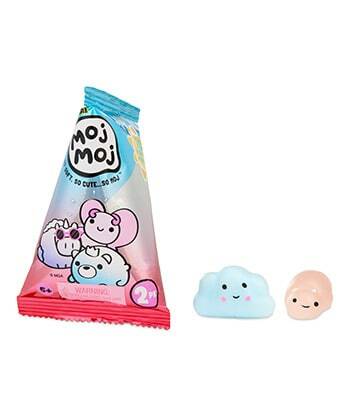 My daughter would like the Poopsie slime surprise and the LOL doll. My friend is about to pop! Her kids would love these toys! I think the Little Tikes Wonder Lab would be the biggest hit! My 2 grandkids would love most of these toys for their ages, 4 and 6. “Who’s That Girl’ would be the first toy played with. I think LOL Surprise Interactive Live Surprise would be played with first. Little Tykes Wonder Lab would be great! I think my littlest would play with Little Tikes Wonder Lab first! My kids would play with the wonderlab first! My niece would like the LOL Surprise Interactive Pet to play with. Would play with the Poopsie Slime Surprise first. The super cute LOL Surprise Interactive Live Surprise would be a huge hit with my grandson! Little Tikes is one of my favourite brands. They toys last forever! The Little Tikes Lab would be a wonderful gift for our grandson. This huge toys giveaway is amazing. Very grateful to be able to enter. I rhink the granddaughters would like to try the Poopsie Slime first. I think the Who’s That Girl Beauty Box would be a big hit! My granddaughter would like a Polly Pocket Pocket World!